The US government is once again facing backlash after the group WikiLeaks published a trove of information related to the Central Intelligence Agency’s alleged spying capabilities just over one week ago. The document dump, known as Vault 7, revealed the agency at least has tools at its disposal to conduct mass spying on anyone with reasonably modern technology, from smart TVs to smartphones. This is, however, far from the first time WikiLeaks or another person or group has leaked important and sensitive information from the government or other organization. In fact, with the rise of the internet, we’ve seen a huge increase in leaks of this kind, and many of them have arguably changed the course of history forever. Here’s a look at the 10 biggest leaks we’ve seen in the last 10 years, in no particular order. We also spoke with security experts to get their take on some of the leaks as well. Many security experts consider this to be the biggest leak in recent history. According to the documents leaked by Snowden, the NSA was collecting data pertaining to phone records. The documents revealed the existence of PRISM, a program in which the NSA demanded information from the likes of Google, Facebook and Apple to gather user data. Not only that, but the NSA was also spying on foreign leaders around the world in addition to US citizens, and it had multiple efforts to crack encryption methods so that it could keep up its surveillance. Safe to say, there was significant backlash as a result of the leaks, though any real changes have yet to be seen. The newest leak on this list is also one of the biggest, and it involves WikiLeaks, an organization that you’ll find is featured here more than once. In this case, WikiLeaks published a trove of information related to the CIA’s hacking capabilities. The CIA has developed zero day exploits that allow it to tap into smartphones, smart TVs, and even connected cars, according to the leak, letting the agency to basically turn these into spying devices. In one example, the CIA was able to make a Samsung TV appear as if it was turned off, but in reality it was still on and recording audio of whatever happened in the room. It’s important to note that the fallout of the leak is ongoing, and we don’t yet have any evidence that the CIA was using these tactics to spy on US citizens or anyone else, for that matter. For more on the situation, check out our full coverage. While some security experts suggest the Snowden leaks are the biggest and most important in recent history, others already argue that this latest WikiLeaks leak is bigger. “While the Snowden leak just confirmed everyone’s suspicion that the NSA has access to all of our digital lives and data, the WikiLeaks CIA leak [in early March] is the most important in recent history,” said Gary Miliefsky, CEO of cyber-security company Snoopwall. Cablegate dates back to 2010, and includes massive dumps of files onto WikiLeaks related to countless international tensions. Diplomatic cables themselves are a confidential message exchanged between an embassy or consulate and the foreign ministry in its parent country. As you can imagine, there’s some highly sensitive information in these exchanges, and governments, we imagine, don’t want them leaked. The cables in this case date from December 1966 to February 2010, and at the time comprised the largest set of confidential information ever, although they have now been surpassed. The leak brought to light that Iran may have North Korean-built nuclear missiles, the US had secretly bombed Yemen, the US bartered with prisoners at Guantanamo Bay, and that a number of countries had been pressing the US to attack Iran. Chelsea Manning, who was an intelligence analyst in Iraq and known as Bradley Manning at the time, is largely credited as being behind this leak. The Iraq and Afghan War Logs are also credited to Chelsea Manning, and these too were dumped onto WikiLeaks, however they specifically relate to the wars in Iraq and Afghanistan. The leaks were first released on July 25, 2010, and exposed horrible war atrocities, including a recorded 66,081 civilian deaths out of 109,000 total deaths in the Iraq war, and an undisclosed number of civilian casualties in Afghanistan. One such incident was captured on video and dubbed Collateral Murders, as it depicted a July 12, 2007 air strike on Baghdad in which multiple innocent people were gunned down, including two Reuters reporters and a man driving a van with two young children inside. It’s difficult to say if there’s been a definitive fallout from these leaks, however torture and the treatment of prisoners have become topics of political discussion over the past several years, and the Iraq and Afghan War Logs almost certainly played a role in that. In another set of leaked documents, WikiLeaks, along with publishers like the New York Times and The Guardian, revealed a slew of information regarding Guantanamo Bay and how prisoners there were treated. A total of 779 documents were leaked, and they exposed that as many as 150 innocent Afghans and Pakistanis were being held at the prison without charges. Not only that, but the leak also revealed the prison’s youngest and oldest detainees were an 89-year-old man and a 14-year-old boy, both of whom were suffering from mental and physical conditions. Furthermore, the leaks showed there was a heavy emphasis on attempting to extract information from prisoners, many of which were tortured at the prison. To date, the Panama Papers represent the biggest leak in history when it comes to the number of documents that leaked, comprising a massive 1.5 million files. But what’s included in those files? In essence, they expose a number of ways in which the rich can exploit offshore tax regimes. Named as doing so are a hefty 143 politicians, including Vladimir Putin and 11 other national leaders. In 2014, Sony Pictures was hacked by a group that called itself the “Guardians of Peace,” after which a slew of confidential documents were leaked online, including details about executive salaries and copies of unreleased films. Shortly after the hack, the group demanded Sony pull its film The Interview, which depicted the assassination of North Korean leader Kim Jong-un, fueling speculation the hack was actually carried out by the country. The group even threatened terrorist attacks on cinemas that showed the movie. How did all this affect Sony, if at all? “Petabytes of information were hacked from network and no one really realized - hopefully steps have been taken to improve security” said Scott Petry, CEO and co-founder of Authentic8, in an interview with TechRadar. The threat did have an impact; the film was eventually pulled from cinematic showings, however it was released digitally with huge success. It’s still not clear if North Korea was behind the hack or who else may have carried it out. Scientology has long had a veil of secrecy, but that veil was at least partly lifted in March 2008, when the secret “bibles” of Scientology were published by WikiLeaks, outlining various aspects of the religion. In particular, WikiLeaks published a manual on the eight different Operating Thetan levels, or levels that Scientologists can achieve within the organization. The leaks also gave instructions on some of Scientology's “drills,” which are somewhat difficult to understand. For example, members were instructed to "Find a tight packed crowd of people. Write it as a crowd and then as individuals until you have a cognition. Note it down." After the leak was published, the Church of Scientology sent a letter of warning to WikiLeaks, suggesting the organization had infringed on the church’s intellectual property rights. WikiLeaks refused to remove the material, claiming the church "aids and abets a general climate of Western media self-censorship." 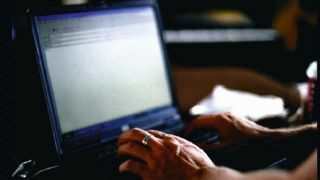 In 2008, a list of members of the extreme right-wing British National Party was leaked online, and while the original list was eventually taken down, copies of it were posted on sites like WikiLeaks. The list included a number of prominent figures, including a police officer, several teachers, and more. “Typically, the information leaks from the government tend to be sensitive in nature because of the personal information of citizens hosted,” said Pierre Roberge, chairman of private cyber defense company ARC4DIA. The BNP is characterized as being far-right, and it promotes biological racism, calls for racial separation, and opposes non-white migration to the UK. For these reasons, you can imagine why a list like this out in the wild would cause issues for members of the party. In 2015, a group known as “The Impact Team” threatened to release the names and personal information of members of Ashley Madison, if Avid Life Media, the site’s parent company, didn’t shut the site down. The problem with this information being made public? Ashley Madison is an online dating site devoted to people looking to cheat on their partner. Many of these leaks have exposed difficult truths, and more than a few have led to policy changes, or at least raised public awareness of the spying powers of the government, wartime atrocities, and more. There’s a lot we still don’t know after these leaks, and while the morality of some leaks is debatable, they help to open a larger conversation about cyber security, including how it pertains to your personal information. Steps you can take to keep your personal information secure are to change your passwords regularly, don’t sign up to dodgy websites, and avoid clicking on links in emails from people you don't know. This list of 10 leaks is by no means exhaustive, and we're sure to see ones that rival even the biggest in years to come. What we can say is that many of these leaks will have a lasting impact in every corner of society, and none will be easily forgotten.